As the class of 2012 enters college this fall, many of its members will land in a dorm room plastered with posters of Scarface, pin-ups, and Bob Marley. In the past 20 years, the reggae legend has become a household name, and in the process, his politically charged message has been largely diluted—replaced by empty bong salutes to Legend. Of course, Marley also paved the way for future generations of reggae artists committed to restoring purposeful meaning to the good vibrations. 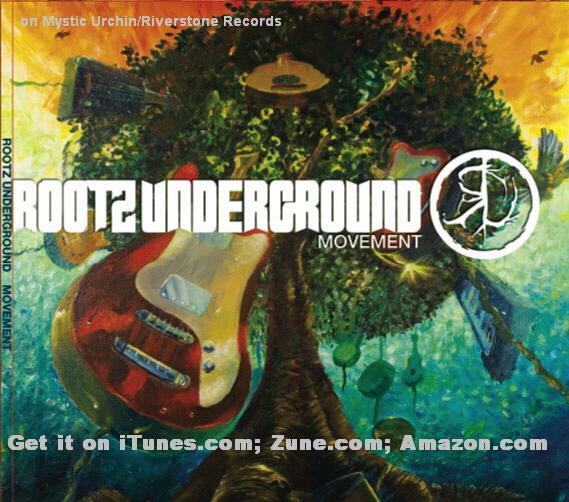 Enter Rootz Underground, seven young musicians from Kingston whose original compositions rage against corruption, ignorance and greed while maintaining a positive attitude set to upbeat reggae, roots-rock and straight-up rock grooves. The group is clearly proud of their culture, and it attempts to wake up the next generation with songs like “Victims of the System,” in which they suggest, “Forgive, never forget.